Whether you have high-tech vinyl siding or a more traditional cedar siding, Amherst Painting Company knows how to restore and treat all types. Our team has the right approach to add new life to your exterior. Think your house is clean? Think again. 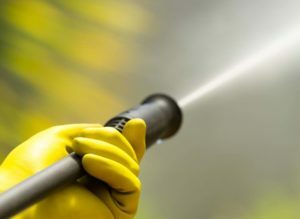 Even if you can’t see it, your house is covered with chalking, dirt, mold, and mildew. Not only can the dirt and mold on your home look bad, they are also the one of the reasons for paint failure. 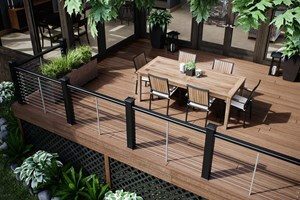 Decks are great for grilling and entertaining, but not when they’re dirty, splintering, worn and sun-stained. Let us help you bring your painted or stained deck back to life with one of any number of our restorative treatment methods. From intensive chemical washes to simple sanding and staining, we have the solution for you. 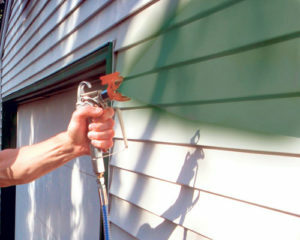 While we prefer to paint with brushes, some surfaces need to be sprayed. 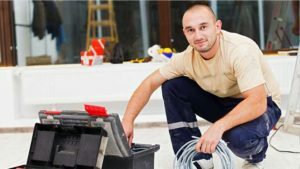 We have the tools and equipment to get your job done the right way! Window glazing is the method of holding windows in place on older windows. 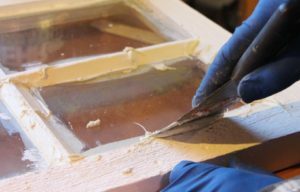 Whether it’s installation of a new piece of glass or re-glazing of your older windows, Amherst Painting Company knows how to take care of it. We’ve been painting and repairing shutters just as long as we’ve been painting houses. 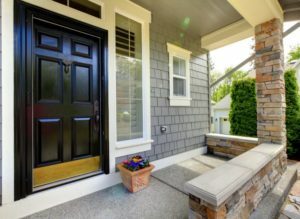 New shutters are expensive and may not match the style of your home. 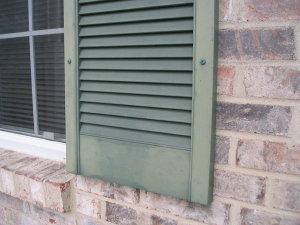 Luckily, most shutters, can be painted. Wooden shutters can often be repaired with relative ease. Not sure which shade to choose? Struggling to differentiate matte, satin and gloss? We’ll help you navigate the sea of options to find a color that matches your home’s interior aesthetic and stands up to your family’s daily routine. Just let us know if you need help. 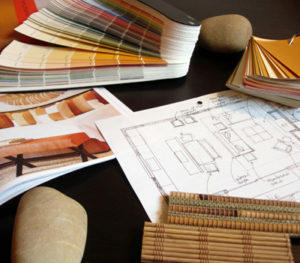 Free color consultations are included with every contracted job.